Yangtze River is the longest river in Asia and the third-longest in the world. Being a dividing line between North China and South China, it traverses eleven provinces and cities from west to east with many stunning scenery and ancient cultural sites along the river. Besides the thrilling Cruise, this tour also includes China’s three popular triangles cities: Beijing, Xian, Shanghai. Explore both the old history and modern prosperity of China. 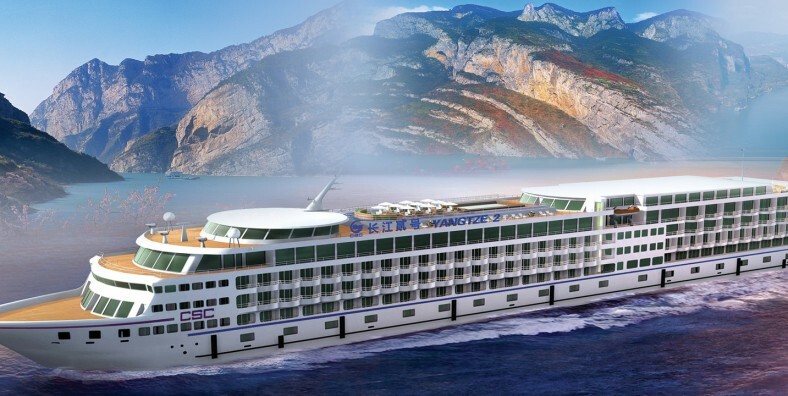 Have a luxurious cruise on the beautiful Yangtze River. Welcome to the capital of China – Beijing! Upon arrival, met by tour guide and transferred to you hotel. Free at leisure for the rest of the day. Breakfast at hotel, start today’s tour with Tiananmen Square. Go north through the square and you will reach the Forbidden City. As the largest and best-preserved ancient wooden structure in the world, it has more than 8,000 pavilions and thousands of historic treasures. Then enjoy the lunch. Get up early to visit Badaling Great Wall. Great Wall is one of the greatest architecture projects in human history. Then visit Ming Tomb, where 13 emperors and their wives of the Ming Dynasty were buried. See the appearance of Bird’s Nest on the way to your hotel at a distance. Visit the Summer Palace in the morning, , which used to be the summer resort for royal families and emperors. In the afternoon, walking along Beijing hutong alleys, narrow but original. Then fly to city of Xian. A local tour guide will pick you up at airport and transfer to your hotel. Today visit the City Wall. Visitors can rent a bicycle and take a ride on the wall. And then visit Shaanxi Provincial History Museum, one of the first huge state museums with modern facilities in China and one of the largest with the large storage of cultural relics from the Shang Dynasty to the Qing Dynasty. After lunch, drive to airport to board the flight to Chongqing. A local tour guide will pick you up at airport and transfer to the wharf to check-in the cruise. It sails at 09:00pm. Enjoy the spectacular view from the deck. Morning have a cup of coffee or practise Tai Chi on the deck. Have an optional shore excursion to Fengdu Ghost City if you like. At around 16:00pm, there is an excursion to Shibaozhai to visit a 12-storey wooden pavilion built in the Ming Dynasty. After back to the cruise, join the Captain’s Welcome Party and have a buffet dinner. Take and optional shore excursion to White Emperor City. Then continue the Yangtze River Cruise through the spectacular Three Gorges – Qutang Gorge, Wu Gorge and Xiling Gorge. After lunch, enjoy a shore excursion at Lesser Three Gorges or Shennong Stream. Join the Captain’s Farewell Party in the evening. Take a shore excursion to the Three Gorges Dam Site – one of the largest hydroelectric project in the world. Then sail through Xiling Gorge. Disembark at Yichang and be transferred to airport for your flight to Shanghai. The Shanghai local guide will pick you up from airport and escorted to your hotel. After breakfast, we will first visit Yuyuan Garden and Yuyuan Market. Yu Yuan Garden(or Yun Garden) is a famous classical garden located in Anren Jie, Shanghai. It abuts the Yuyuan Market. Then we will stop at Shanghai Museum. It is the Museum of Ancient Chinese Art with more than 120,000 precious and rare works of art. In the afternoon, we will head to the Jade Buddha Temple, which is a venerable and famous Buddhist temple built in 1928. Today visit the bund, which is located along the Huangpu River. It is a famous waterfront and regarded as the symbol of Shanghai. Then we will head to East Nanjing Road – the first choice for many fashion-seeking shoppers. You can find out whatever you want. Afterwards we will stop at Oriental Pearl TV Tower. The ultra-modern Oriental Pearl TV Tower combines ancient concepts with 21st Century technology, where you can get a bird-eye-view of whole Shanghai city. In the afternoon, we will drive you to the airport for your flight.